I have been studying lavender for years. I used to send my children to the Nava hill in Summer; and I visited them every Sunday. I spent the day up there in the mountains, focusing on local flora. Lavender is the main flower. And with great sadness I saw it wither on the unharvested plants. So I started my research. With these words, addressed to his friend Guido Rovesti, Leopoldo Pira recounts his debut in the lavender world: to him, a wholesale perfume dealer, this purple flower represents a magnet capable of making him spend entire days outdoors looking for the perfect fragrance. His love for perfumes lead him to establish the Niggi company (that he dedicates to his wife, Bianca Niggi) and to launch his first creations: Biancospino (hawthorn), Fior di campo (wildflowers), Ardore (passion) and Mimosa. In 1932, after years of research, Leopoldo is ready to launch the Coldinava Lavender. The commercial result is beyond any expectation and the company increases the flower production on all the fertile soil between Imperia and Ventimiglia, creating a new landscape scenery. 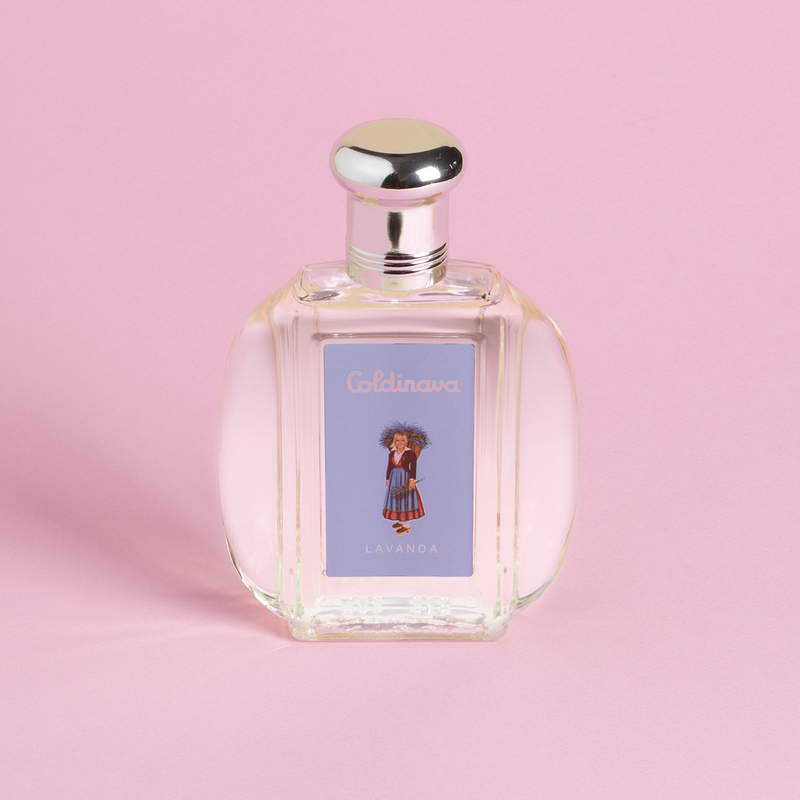 To market the perfume, the company relies on Alberto Bianchi, a talented illustrator who works for brands like Fiat and Omsa. His composition encloses a fairy world: the peasant with the basket, the goat, the wild flowers and the rugged surface of the mountain visually anticipate the fresh and uncontaminated aroma that is inside the bottle. The elemental lettering suggests the purity of the fragrance, thus becoming the most beloved essence for laundry, cabinets and bridal trusseaux. During its popularity peak, everybody knows Coldinava Lavender thanks to a catchy jingle that is broadcasted on tv: “On the Nava hill near the stars, things are fine, things are fine, the fragrant Nava hill sends you a smell of lavender, smell of lavender". In the early 80s, Benedetto Pira, son of Leopoldo, sells the brand to Milanese brand Nicky Chini, already holding other historical companies, which strictly keeps to the original formula of the eau de toilette. Today, Coldinava Lavender is living a second youth and the product is particularly appreciated on European and Asian markets.